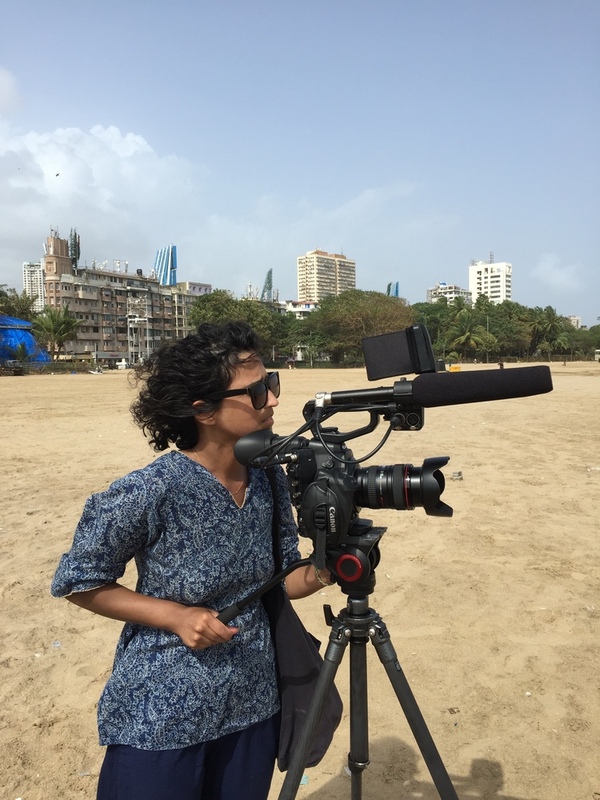 Review Fix chats with filmmaker Veena Rao who discusses her film “Mumbai Mornings,” set for at a run at this year’s summer screening session of the Queens World Film Festival. Veena Rao is a director and producer based in Brooklyn. Her films have screened at festivals worldwide, have been featured on publications such as The Atlantic, and National Geographic, and have aired on the Documentary Channel and Current TV. She is an alumna of NYU’s Tisch School of the Arts and a member of Brooklyn Filmmakers Collective, Film Fatales, and the New York Women in Film & Television Documentary Committee. Veena Rao: I went to Mumbai last summer with the intention of making a film. I came with a few ideas that fell through and then heard about Abbas’s story through my cousin’s friend who was on his running team. I met with him a couple of days later and was really inspired by his story. He was into the idea of a film, so I went to several early morning practices over the course of a couple of weeks and filmed his daily routine after practice. I was struck by Abbas’s love and dedication to running. Running represented freedom to him, and contrasted sharply with the long hours he spent working in a cramped space. I felt the contrasting realities of his world and the joy he found when he discovered running would be interesting to explore in a film. Rao: Unfortunately the one day I had set aside to film Abbas on the train is the day I got sick but knew it would be hard to get the shot during the week (it was Sunday so the train was pretty empty in comparison to how insanely crowded it gets during the week), so after projectile vomiting in the bathroom of a very sweet and accommodating teammate’s house, I got on the train and got the shot. Rao: I’d love the viewer to be inspired by Abbas and to come away thinking about their own passion and what it means to them. Rao: I’m excited to be included in the festival and have an outdoor screening of the film in NYC. Rao: I have a few documentary ideas in the works that I’m hoping to shoot in the fall if they fall into place, but nothing concrete yet.